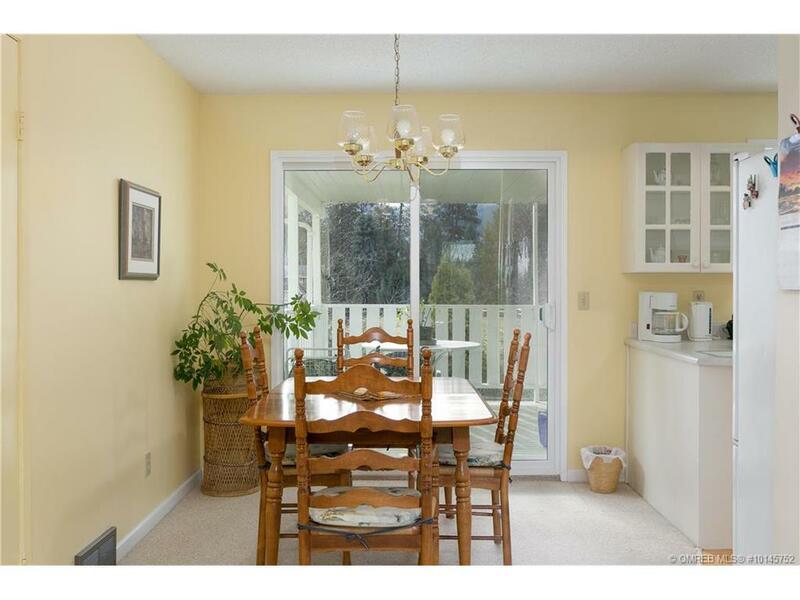 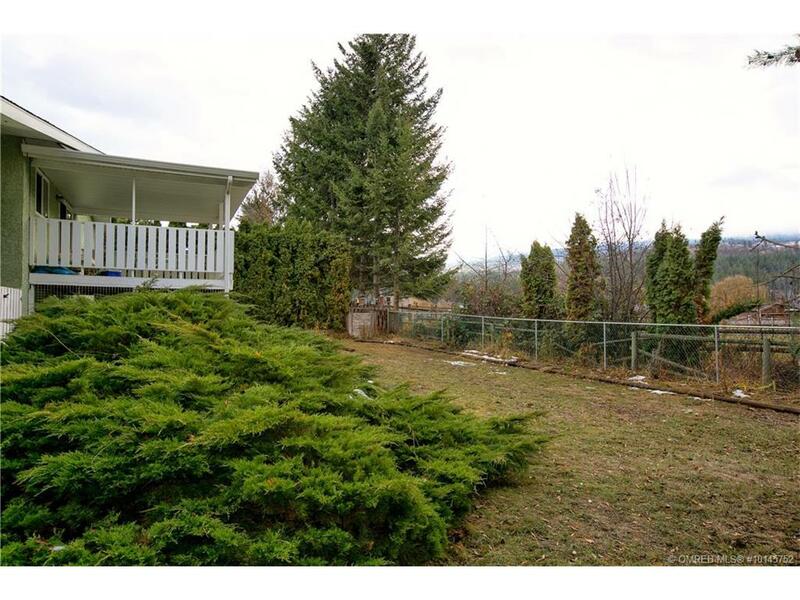 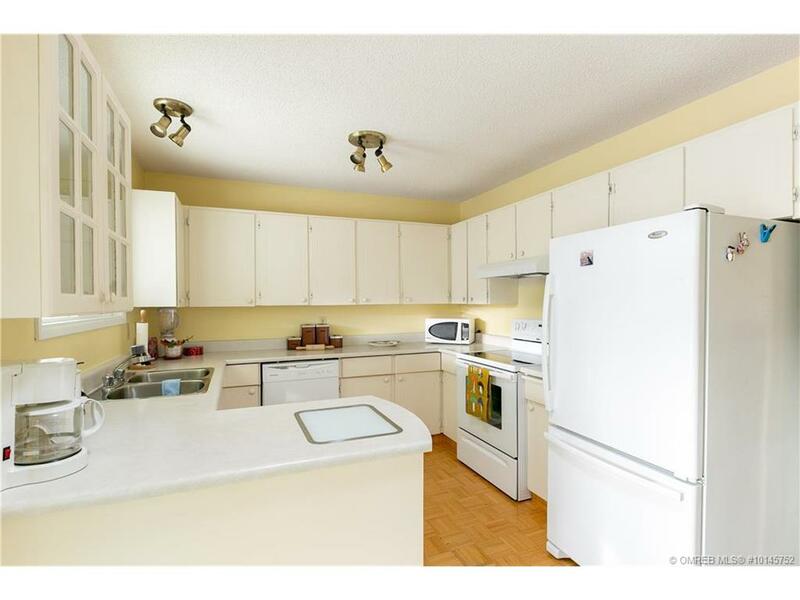 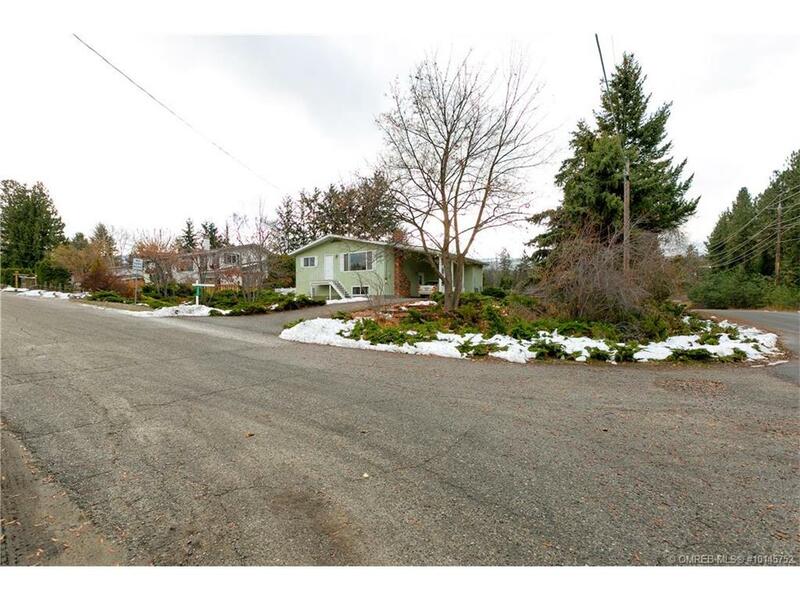 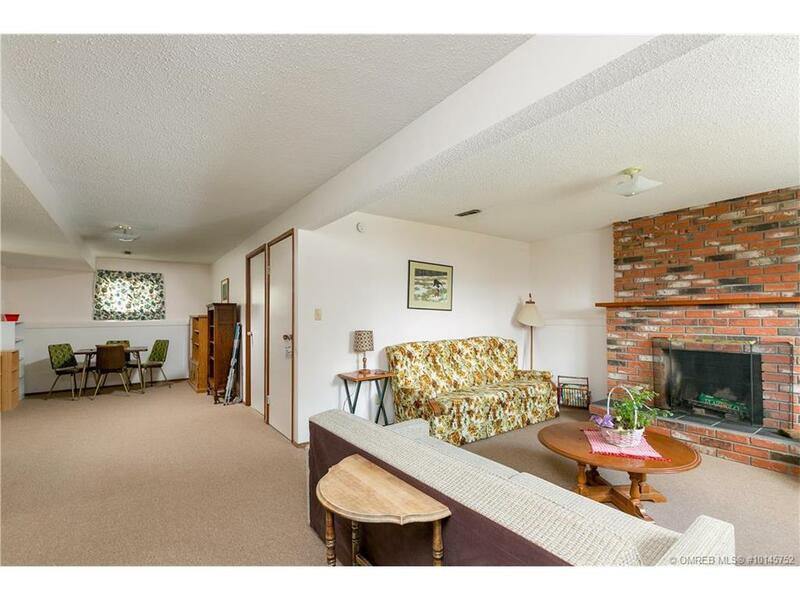 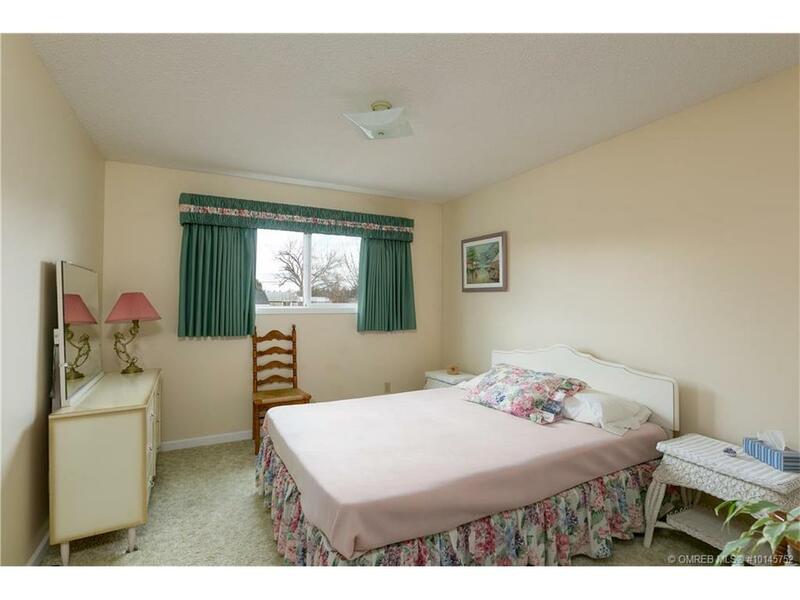 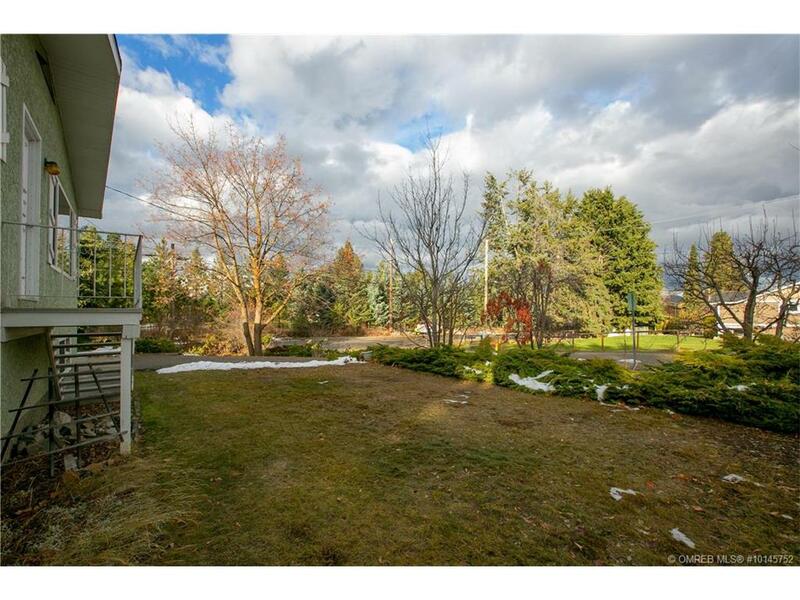 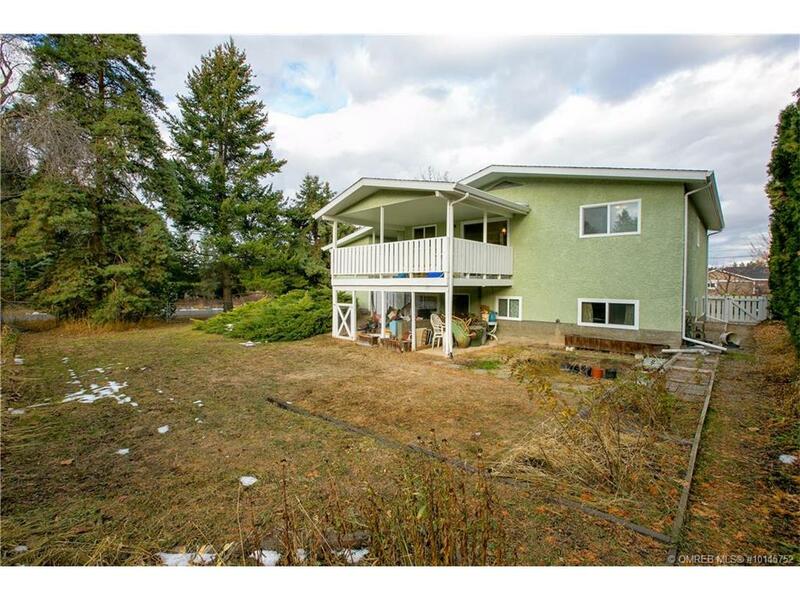 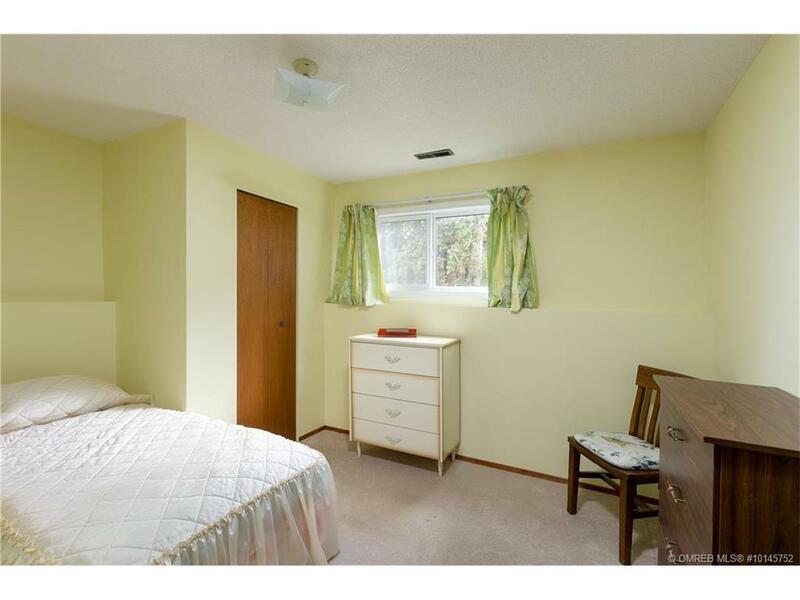 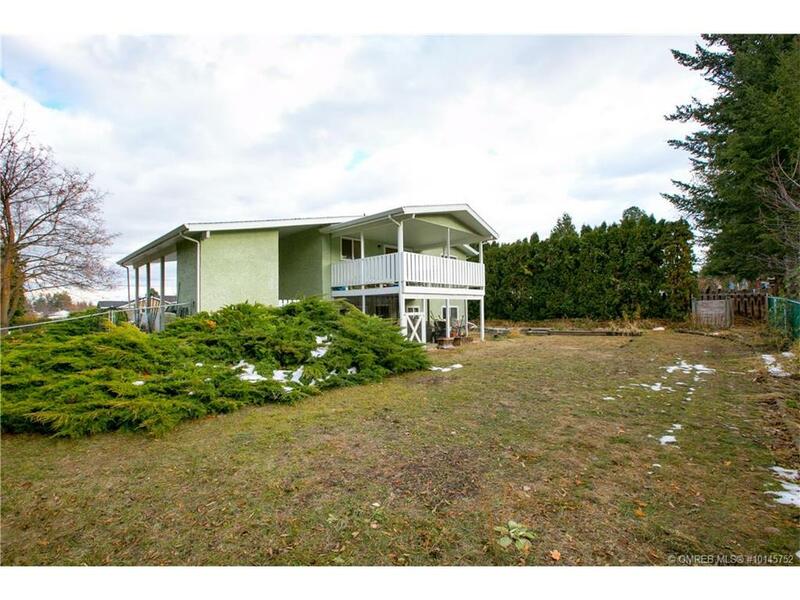 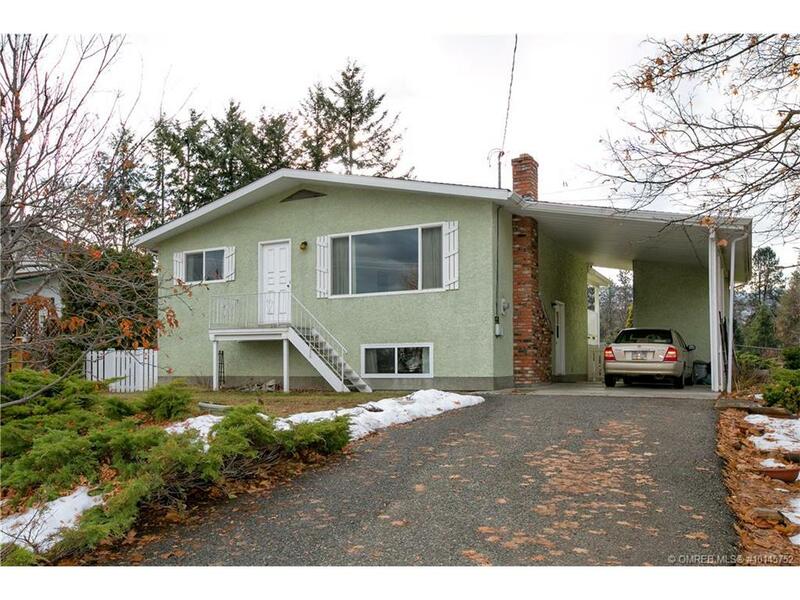 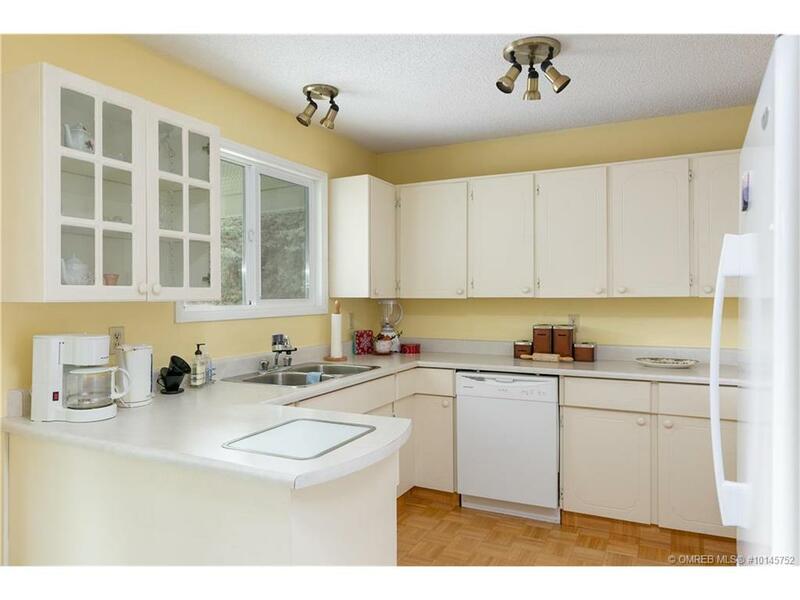 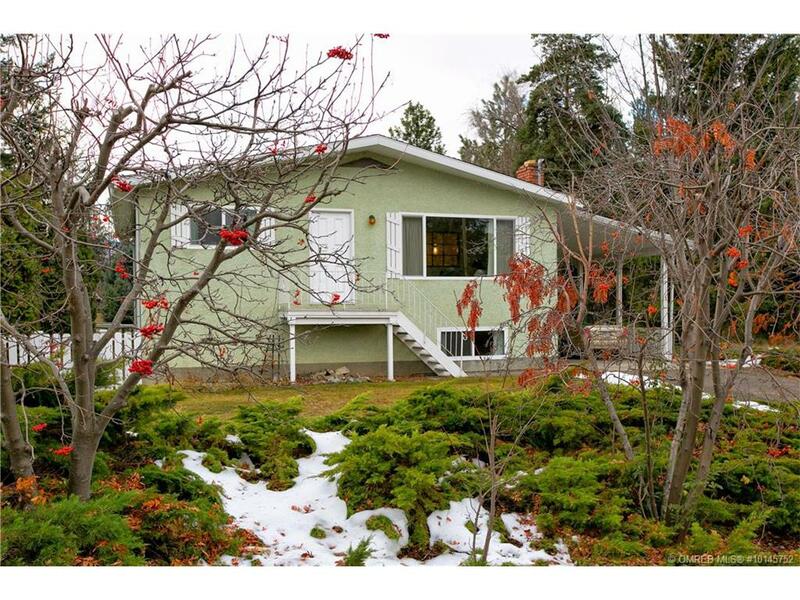 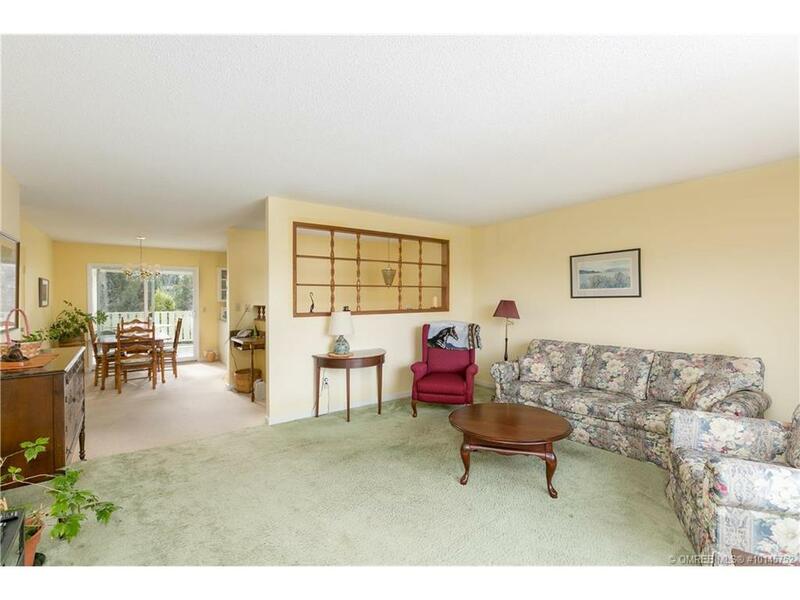 4 BEDROOM – 2 BATH – NEVER BEEN LISTED PROPERTY – in highly sought after neighbourhood in South East Kelowna, corner lot. 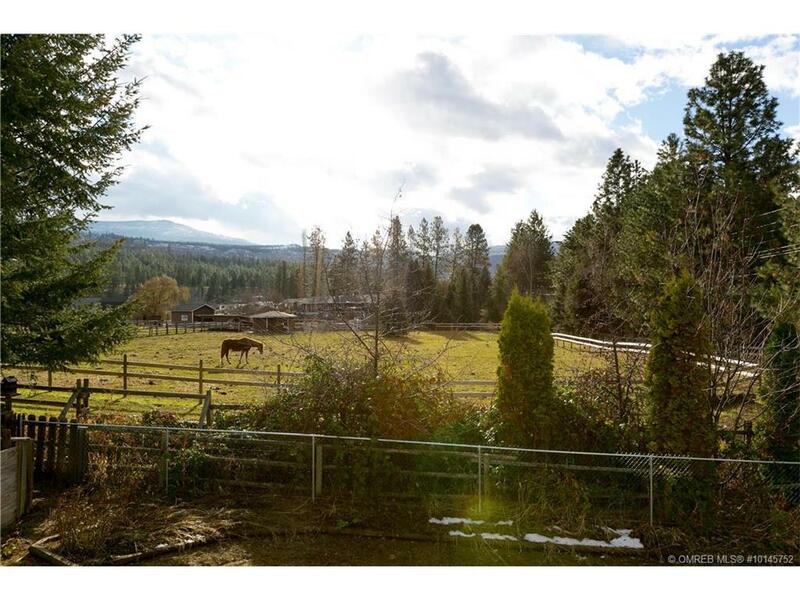 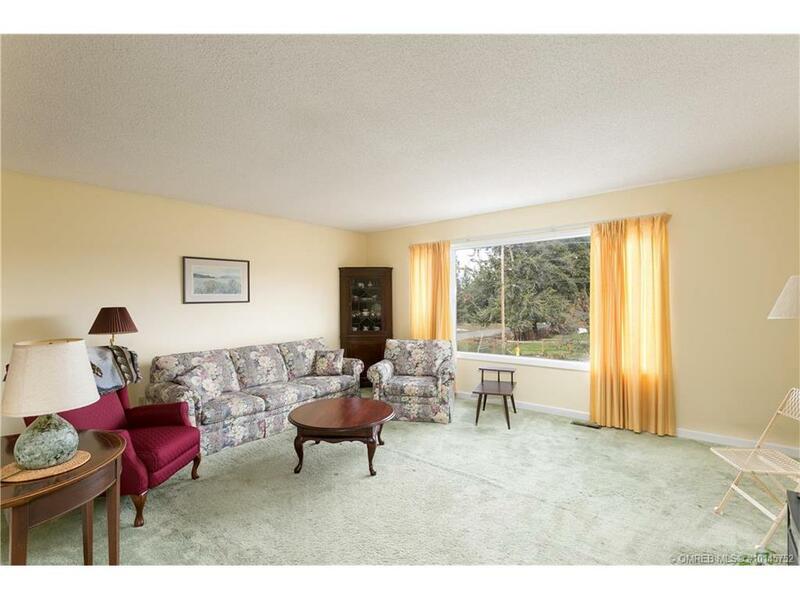 The home is on a quiet no thru road and backed onto a riding stable. 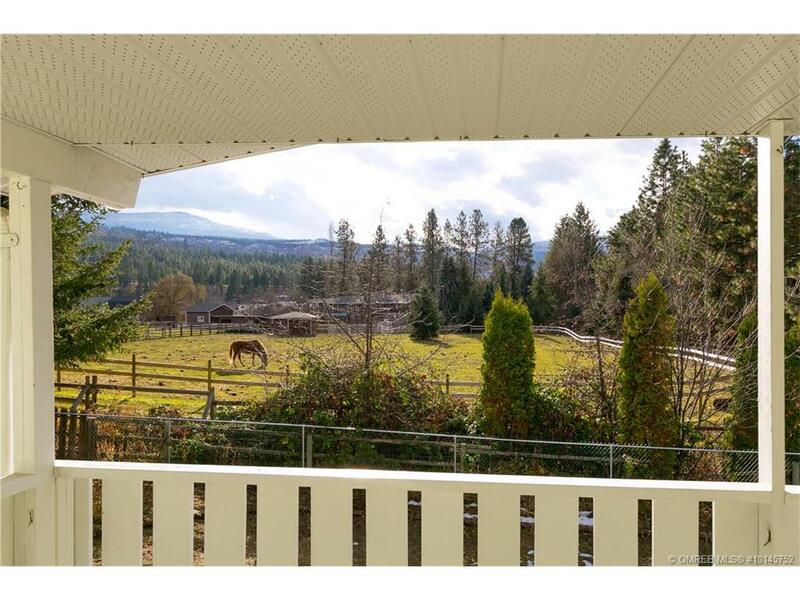 You can sit on your deck overlook the mountain views and watch horse roam just steps from your completely fenced in back yard. 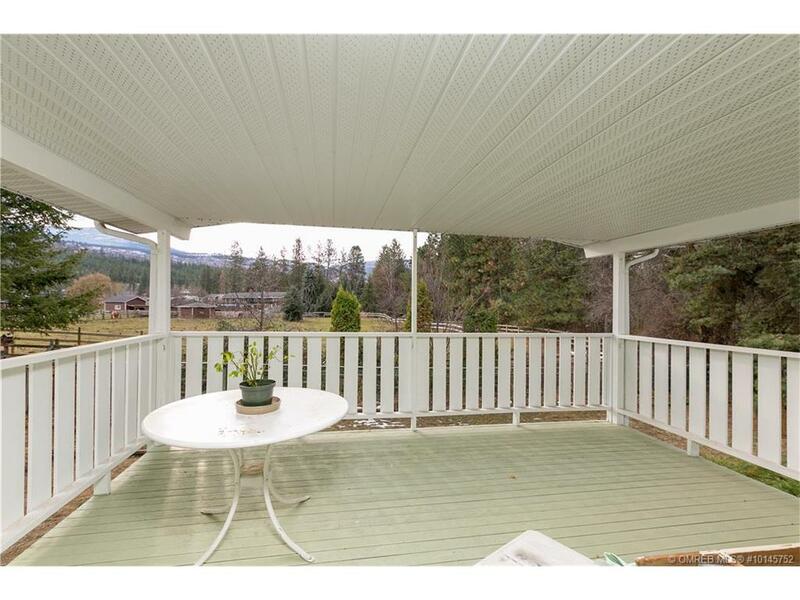 It offers a large driveway and car port, with a small shed attached. 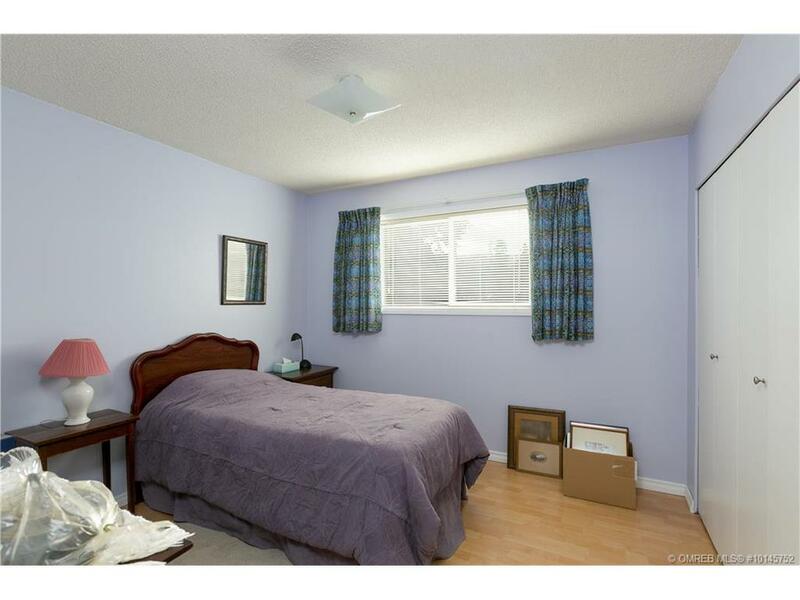 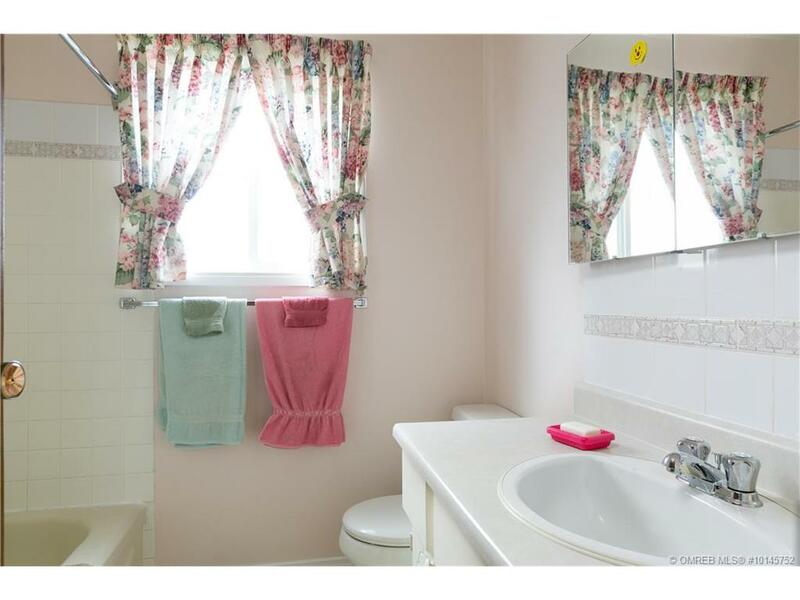 The home has 2 bedrooms upstairs, a 4 piece bathroom and a large great room with open easy flow into the kitchen. 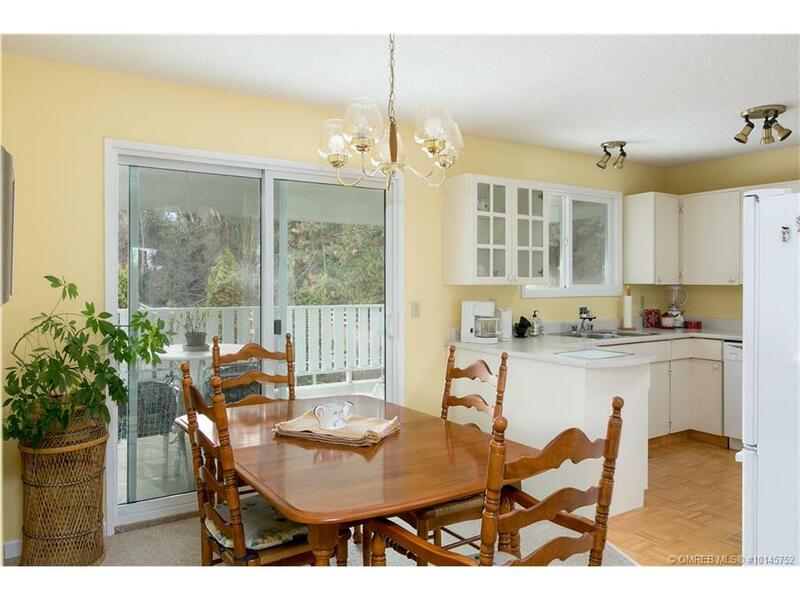 Off of the kitchen there is a large covered deck with ample amount of privacy and serenity that the mature neighbourhood offers. 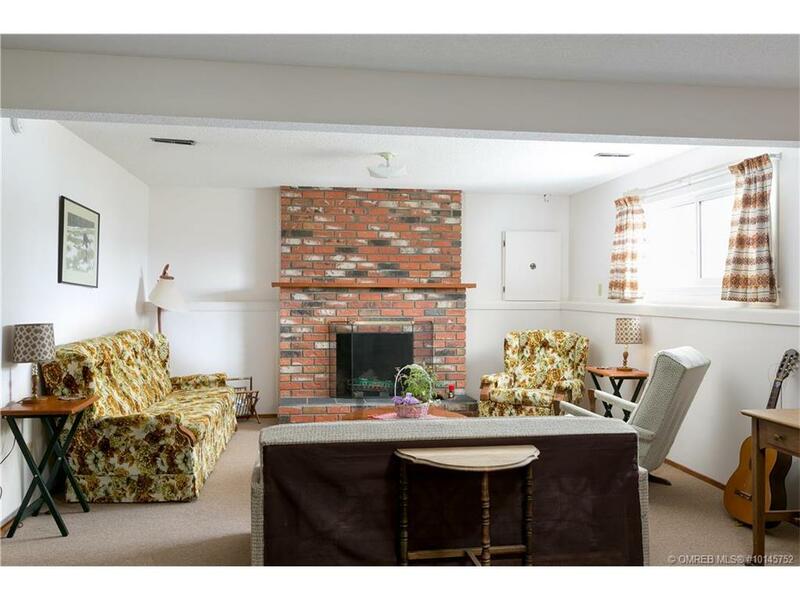 Moving to the fully finished basement, there is a grande laundry room with outside entrance access, a rec room with a beautiful brick, wood burning fireplace and 2 more bedrooms with a 3 piece bathroom. 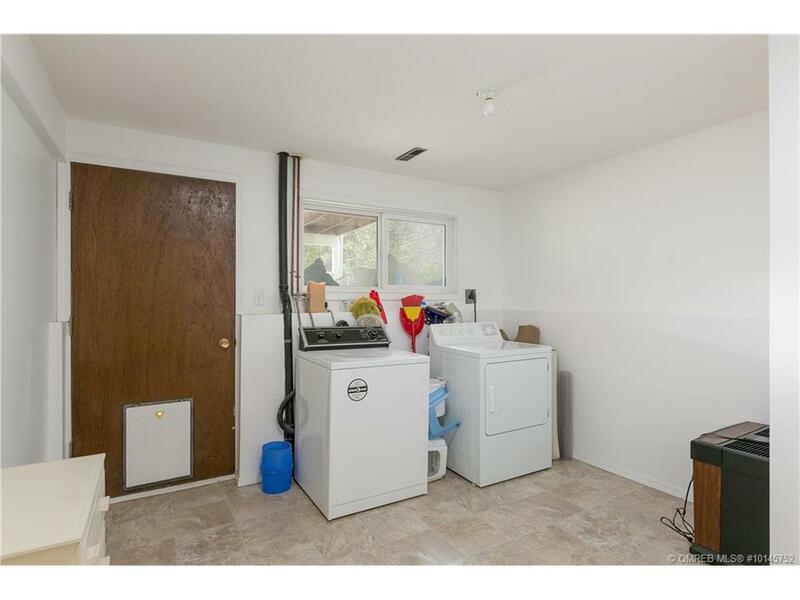 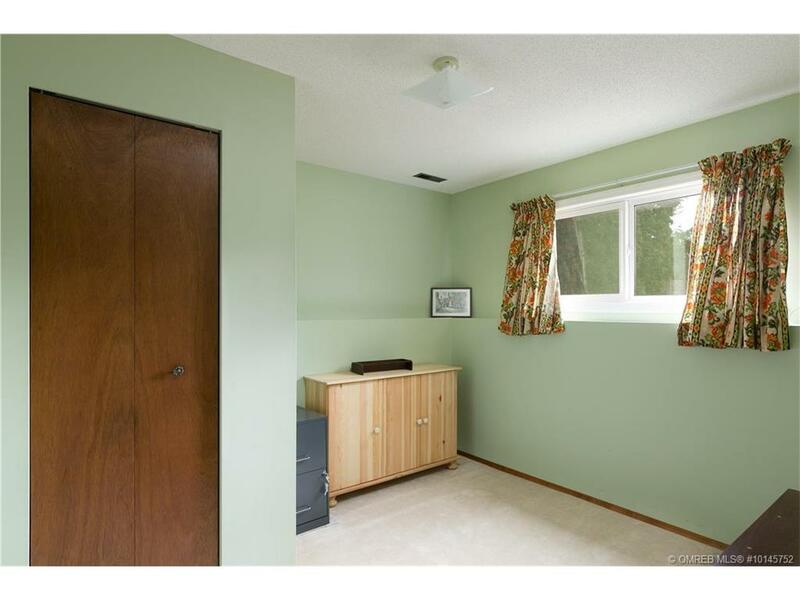 This basement could be easily suited. 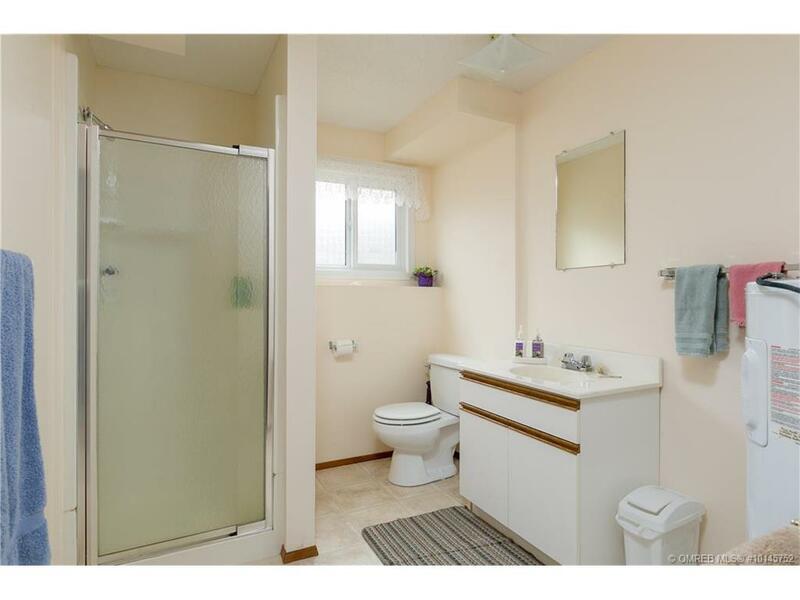 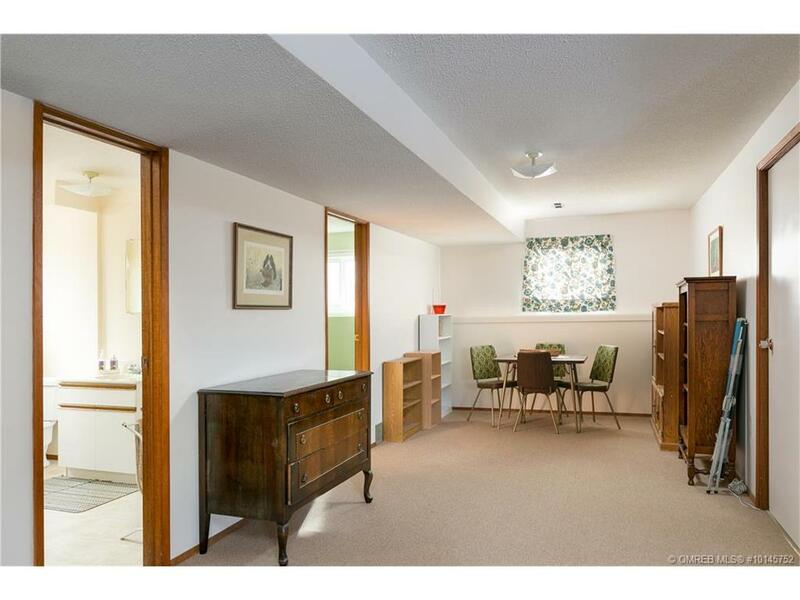 With new floors, and a few minor up-dates this home could be their perfect family space or income property.